App for parking payment in the blue and orange zones and other restricted parking zones (RPZ) through the mobile phone. 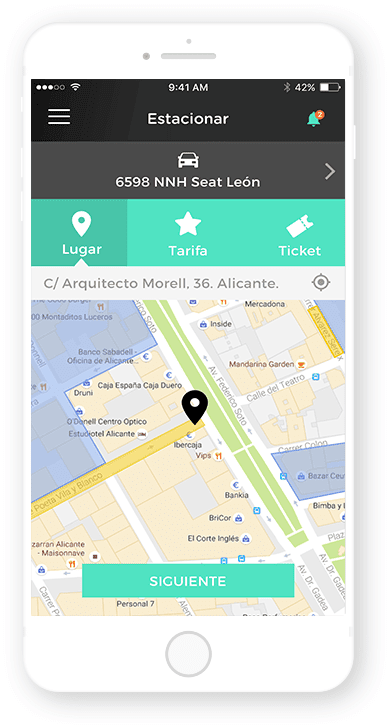 Application promoted by Vectalia (one of the major groups on mobility management at Spanish level), Pavapark (the mobility category at Pavasal, the civil work constructor company) and Cuatroochenta for parking payment in the blue and orange zones and other restricted parking zones (RPZ) through the mobile phone, with no paper tickets and for the actual parking time. After a quick sign up, enter the car plate number and localise the car so the controller can validate. Moviltik intends to become a new virtual parking metre standard throughout the country. You will not have to look for and pay in the parking metre. Also you do not have to go back to display the ticket in the car. You will receive a notification when the virtual ticket is to expire. Extend the parking time from your mobile phone right where you are. No credit or previous payments: take your car off the parking lot and pay for the actual parking time. Notifications avoid reports and allow cancellations from the app itself by paying a little amount (depending on cities). Enter the plate numbers you wish to make parking easier for family or business visits. Secure pay through a certified PCI gateway. Get continuous access to payment receipts on the app. Once you sign up and enter the plate number for the first time, you will only have to access the app and quickly pay for parking.